Parallels Toolbox 3.0 consists of a number of tools that perform highly specific or common tasks on a Mac or PC, with the aim of reducing the workflow to a few clicks and simple instructions. The existing collection of tools for the Mac version has been bolstered by a trio of new options. 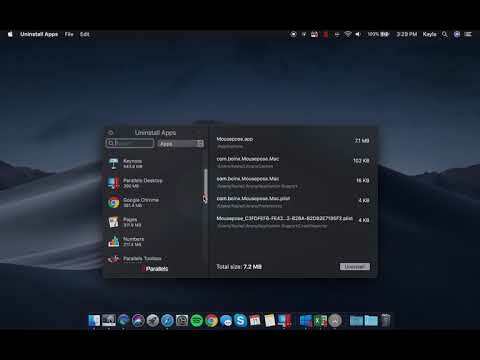 The Uninstall Apps tool removes applications and files with a single click, while the Hidden Files tool will reveal and conceal files normally kept invisible in macOS. A World Time tool will quickly show the local time in various locations around the world, which can be useful for teams working internationally. The enhanced tools are headed up by Annotate Screenshots, which allows macOS Mojave users to use the Take Screenshot tool and markup the image with symbols and other items. The Resize Image tool now adds support for HEIF photographs, while the Record Audio tool now allows for recordings to be saved as an MP3 file. The Safari extension to download video is now quicker in starting the download process for online videos in Safari 12. There is also support for downloading playlists from video hosting sites, including from Facebook, YouTube, Vimeo, and others. Across all tools, there is now a dark mode setting made for macOS Mojave, and a customizable "Save As" option allows new files to be saved to specific locations of the user's choosing. Parallels Toolbox 3 is available to download from today, priced at $19.99 per year for the entire package, which also includes access to regular updates and new tools throughout the year. Smaller Toolbox Packs are also available, providing a limited subset of the tools in different collections, for $9.99 per year. Parallels also offers a version of Toolbox 3 for Windows users, with its changes including new Find Duplicates, Resize Images, and Sleep Timer tools, and updates to the Download Video and Record Audio utilities. If Parallels wants to make a lot of money, they should consider releasing a version of their VM for Windows. VM Ware currently has a monopoly on that platform which is why the same product costs five times as much on Windows as it does on the Mac. You should never buy any software that charges monthly or yearly for their software. If you pay for something, it shod be years to use for as long as you wish. Also, this way you always know where your money is going. You’re not really keeping up with how things are going in the tech world all that much based on your comment. I'm all with VirtualShift... I far prefer to purchase lifetime rights to software. If I feel like upgrading in 3 years or 5 years or 6 mos, that should be my business. With a "cloud" or monthly subscription you have nothing if you don't continually pay. My office uses perhaps a dozen pieces of software ("apps") daily and budget-wise, replacing / updating on OUR timetable, every 3 years or so has served us well, with little to no decrease in productivity. Ditto for my personal use.